The Shamrock Fair is BACK! Do ya feel lucky, Hero? I hope so, because this weekend, The Shamrock Fair returns as we celebrate Lucky Day! Log in all weekend log for one of the most colorful holiday events of the year. You can access the Fair RIGHT NOW when you /join Luck, and then continue to taste the painbow inthe /rainbow and /hedge maps! 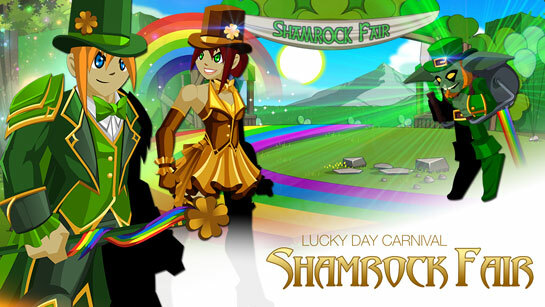 Save up the Golden Tickets you earn from the minigames to purchase gear from the Lucky Day Shamrock Fair Merge Shop, and if you get a Lucky Hat or Lucky Top Hat from the Fair Token Shop, you'll earn double the number of Golden Tickets from any minigame you play! 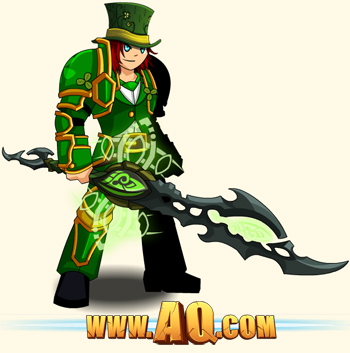 The Luckiest Class: Evolved Leprechaun! 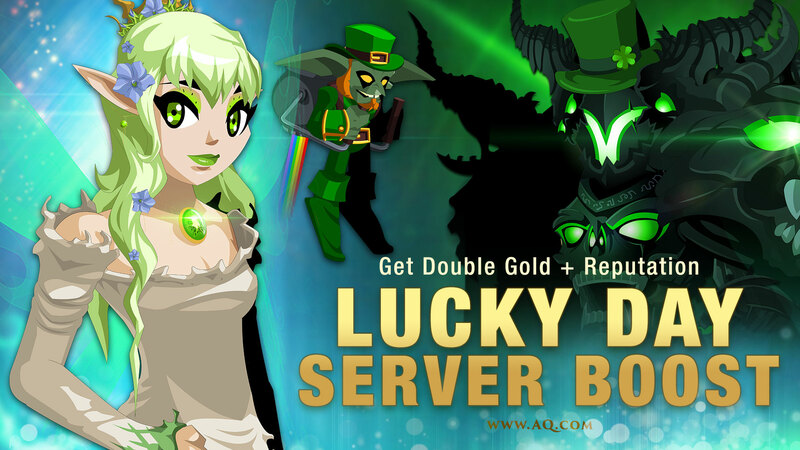 Make your friends GREEN with envy as you battle through this Luckiest of weekends filled with LUK, leprechauns, and LOTS of loot! The veil between our world and the Fae has thinned enough for you to enter the realm of the Fairy Queen. 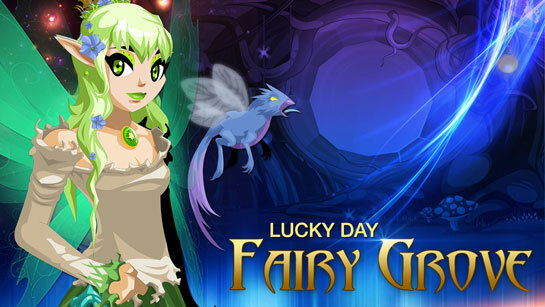 This weekend's Lucky Day expansion is based on Celtic fairy lore. Learn more about them, complete the Runestone's quest for prophecies and advice, and rank up your new Faerie Court rep.
Get DOUBLE Gold and Reputation all weekend long at as we celebrate the return of the Lucky Day Fair and the new Fae Grove farming zone (with the Faerie Court rep).